There can be little doubt that without revenues generated by advertising, today’s web would be a very different animal. Many sites live or die by the money they bring in via advertising but a growing number of platforms feel that volume can make up for quality, bombarding visitors with what many consider unstoppable spam. For the savvy, of course, plenty of options are available to block the most annoying ads. Many use browser plugins like uBlock or AdBlock Plus to limit the number of ads they see, much to the disappointment of those delivering them. In an effort to put a stop to this ‘freeloading’, digital publishing company Alex Springer has waged a years-long campaign against German-based developer Eyeo GmbH, the company behind Adblock Plus. The publisher, which owns Bild and Die Welt, among others, claimed that AdBlock Plus and its users undermined its business model. However, after trips through regional and eventually Germany’s Supreme Court, in April 2018 Adblock Plus and Eyeo GmbH came out on top. Now, a year later, Axel Springer has returned for another bite of the cherry. This time the publisher claims that AdBlock Plus infringes copyright. The company’s complaint, reported on by Heise.de, appears to push the boundaries of what is generally accepted as infringement. “Advertising blockers change the programming code of websites and thus directly access the legally protected offer of publishers,” says Claas-Hendrik Soehring, head of media law at Axel Springer. Until the actual complaint is made available (according to Heise it is yet to be served) the precise details behind the complaint are open to speculation. 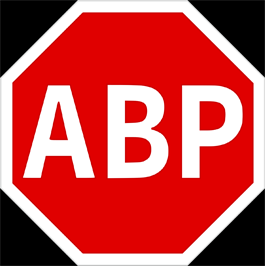 However, considering the way AdBlock Plus works, it seems unlikely that a browser plug-in could in any way change code on its digital platforms. It’s a point not lost on Eyeo, which totally rejects the claim. “The argument that we intervene in the ‘programming code of websites’, I would like to call almost absurd,” Eyeo’s spokesperson said in a statement. It’s not totally inconceivable that Alex Springer might attempt to present an argument under other aspects of copyright law, such as circumvention of technological measures put in place by copyright holders to restrict acts they don’t authorize. Of course, the full details will only become apparent when the lawsuit is eventually made available for public scrutiny. Is President Donald Trump a Pirate ?? Copyright Infringement !